Advocate staff photo by PATRICK DENNIS --Gov. Bobby Jindal answers media questions concerning his religious freedom executive order during a press conference concerning the endangered species de-listing of the Louisiana Black Bear Wednesday on the lawn of the Governor's Mansion. Advocate staff photo by PATRICK DENNIS -- Louisiana Wildlife and Fisheries Secretary Robert Barham makes an important conservation announcement for Louisiana, Mississippi and Texas concerning the Louisiana Black Bear during a press conference Wednesday on the lawn of the Governor's Mansion. Advocate staff photo by PATRICK DENNIS -- Conservationist Theodore Roosevelt IV tells a story about President Theodore Roosevelt hunting black bears after Gov. Bobby Jindal made an important conservation announcement for Louisiana, Mississippi and Texas concerning the Louisiana Black Bear during a press conference Wednesday on the lawn of the Governor's Mansion. Advocate staff photo by PATRICK DENNIS --Gov. Bobby Jindal makes an important conservation announcement for Louisiana, Mississippi and Texas concerning the Louisiana Black Bear during a press conference Wednesday on the lawn of the Governor's Mansion. The Louisiana black bear, the inspiration for the iconic stuffed animal named after President Theodore Roosevelt, got some good news Wednesday when the U.S. Fish and Wildlife Service said it is no longer in danger of extinction during the next 100 years. State and federal officials said the process to remove the Louisiana black bear from the endangered species list has begun. Listed in 1992 as threatened under the Endangered Species Act, the announcement to delist the bear happened 10 years earlier than even the recovery plan for the bear anticipated. As the story goes, President Roosevelt was hunting in Mississippi. He wasn’t having any luck, so the guides found an old black bear and tied it to a tree, but Roosevelt refused to shoot it because it would be unsportsmanlike, according to the Theodore Roosevelt Association. A cartoon of the incident ran in the newspapers and someone got the idea to make a stuffed bear and call it a “Teddy bear,” with the president’s approval. Steve Guertin, U.S. Fish and Wildlife Service deputy director, said the three breeding populations in the initial listing are stable and there has been a fourth breeding population established in northeast Louisiana. In addition, there are three new breeding populations forming in Mississippi, he said. As the number of bears grows, Guertin said, more habitats for the bears as well as corridors of land where the bears can intermingle have been established. The announcement Wednesday is just the first step for the delisting. The public will be allowed to comment before the U.S. Fish and Wildlife Service makes the final decision. If the species is taken off the list, it’s required that federal and state agencies monitor the species for at least five years to make sure the population is stable without the federal protections. If approved for delisting, the Louisiana black bear will join other success stories such as the brown pelican, the American alligator and the bald eagle. Not everyone thinks the bear is ready to be removed from the list. “We’re not at the point where we can delist the bear,” said Harold Schoeffler, chairman of the Acadian Group of the Sierra Club. Schoeffler filed suit in 1987 to put the Louisiana Black Bear on the endangered species list and several subsequent court actions involving protective measures. “(Louisiana) Wildlife and Fisheries were dragged kicking and screaming into this issue,” he said. Schoeffler’s current concern is there aren’t enough bears located in a wide enough area to justify removing protection at this point. State Department of Wildlife and Fisheries Secretary Robert Barham said there were less than 100 bears in the state at one point, but the latest count puts that estimate closer to 600 to 700. However, he said, those are rough estimates and he thinks the number is closer to 1,000. Schoeffler said that’s still not enough, and a number closer to 3,000 for the area from west Mississippi to east Texas is what he would like to see. He added that he will wait for the federal government to act before deciding if legal action is necessary to keep the bear protected. Other organizations say there are enough bears, but that there are other issues to be addressed. 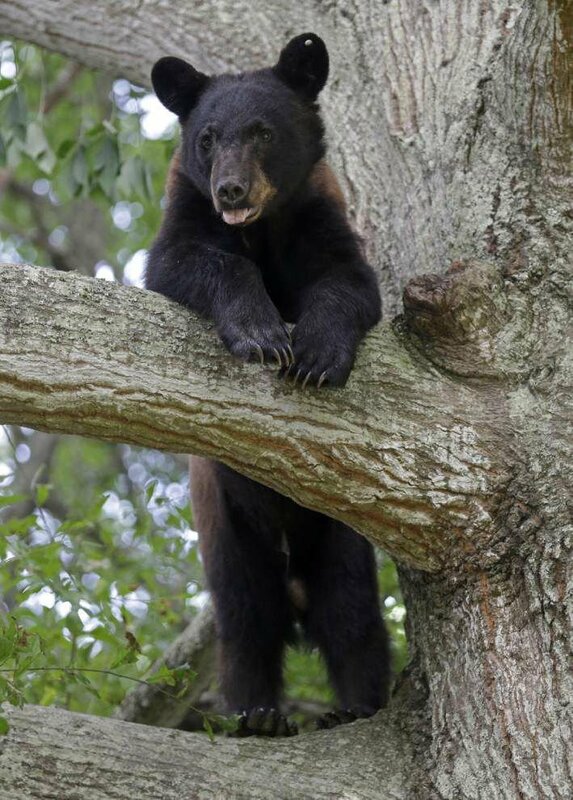 “There are enough bears to delist; that’s not my concern,” said Paul Davidson, executive director of the Black Bear Conservation Coalition, which brought private landowners, government agencies and others to work together to enhance habitat availability and educate people about the Louisiana black bear. Davidson said his concern is how fast everything is moving, and how the federal government and the state will prove that the recovery plan for the bear has been achieved. That agenda, Davidson said, is to delist the Louisiana black bear so that the state can reopen at least a limited hunting season for the animal. The last Louisiana black bear hunt in the state was in 1988. The recovery plan for the Louisiana black bear was developed in 1995. The plan set out several criteria that included making sure a viable subpopulation of the bear exists in the basins of the Tensas and the Atchafalaya rivers. Other criteria include that there be corridors of habitat between these two subpopulations that could be used by the bears and assurance that these corridors have long-term protection. The coalition spent years raising awareness about the bears, raising money and working with federal agencies and private landowners to improve habitats. That coalition found success because of a desire to get ahead of the conflicts broiling the Pacific Northwest in the late 1980s with the fight between the spotted owl preservationists and timber interests. The first black bear meetings in the late 1980s involved timber industry representatives, environmental groups, biologists, federal agency representatives and forestry consultants, and it took work to get these diverse groups to trust each other and work together. Then the U.S. Fish and Wildlife Service allowed for an exemption on the Louisiana black bear listing that allowed timber operations to continue with some caveats such as leaving those overmature trees that could serve as dens on a property if logging occurred. “The timber industry saw that as a good faith effort and stayed at the table,” Davidson said. The Louisiana black bear restoration effort got another boost in the 1990s with the formation of a federal wetland reserve program, first done as a pilot in 1993 and then officially in 1996 within the Farm Bill. The wetland reserve program and an existing conservation reserve program helped compensate landowners for putting marginal agricultural land back into forests such as bottomland hardwoods. The Natural Resource Conservation District focused these programs on the parishes considered part of the Louisiana black bear area — roughly in a line from East Carroll Parish down to St. Mary Parish. “It worked very well,” said Kevin Norton, state conservationist with the Natural Resources Conservation Service. In all, there are about 500,000 acres in some kind of conservation easement in this Louisiana black bear corridor area, he said. 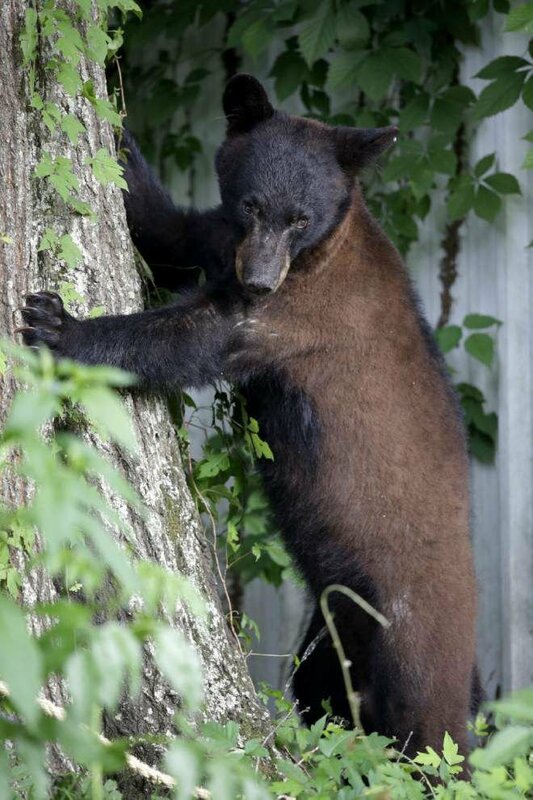 That success story will bring its own challenges as more bears will mean more chances for people to come in contact with the animals, as was seen earlier this week in Marksville when a young bear took up residence in someone’s backyard tree. Public comment on the proposed delisting will be accepted until July 20 through http://www.regulations.gov and there will be announced public hearings on the proposed rule.